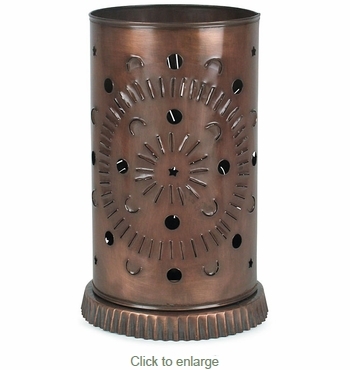 This extra large punched tin luminaria makes an attractive display of candle light in your home. Each Mexican luminary is hand cut and hand punched using aged tin one at a time by metalcraft artisans in Mexico. Expect slight variations in size, punched tin design and finish of the aged tin on these hand made punched tin luminaries.